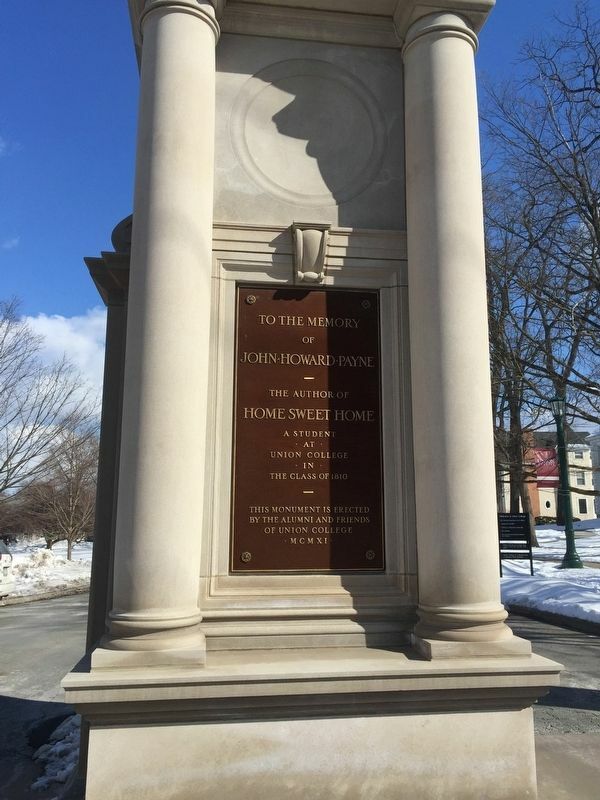 To the memory of John Howard Payne, the author of Home Sweet Home. A student at Union College in the Class of 1810. Of mind dearer than all. Let others delight ‘mid new pleasures to roam. Be it ever so humble. 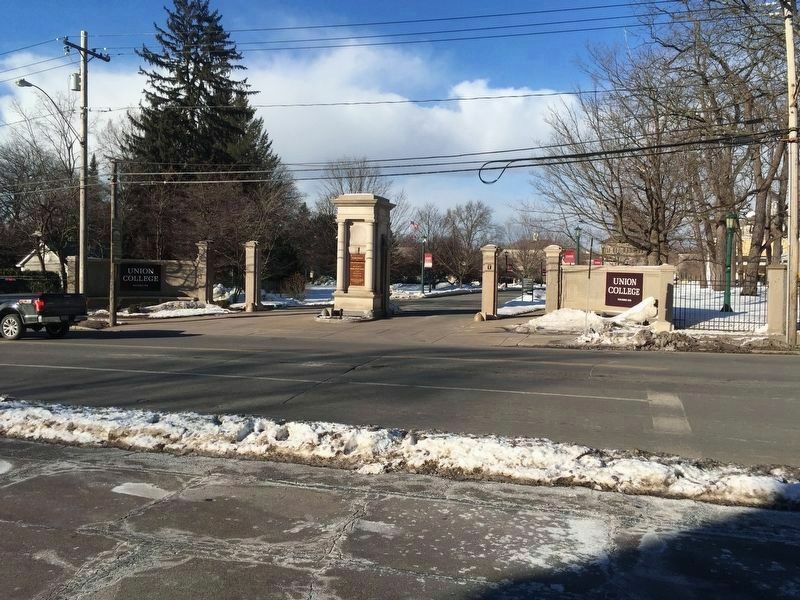 Erected 1911 by Alumni and Friends of Union College. Location. 42° 48.886′ N, 73° 55.899′ W. Marker is in Schenectady, New York, in Schenectady County. Marker is at the intersection of Union Street and Library Lane, on the right when traveling west on Union Street. Touch for map. On the gate post nearest to the intersection of Union Street and Union Avenue. Across the street from St. John’s. Marker is in this post office area: Schenectady NY 12308, United States of America. Touch for directions. 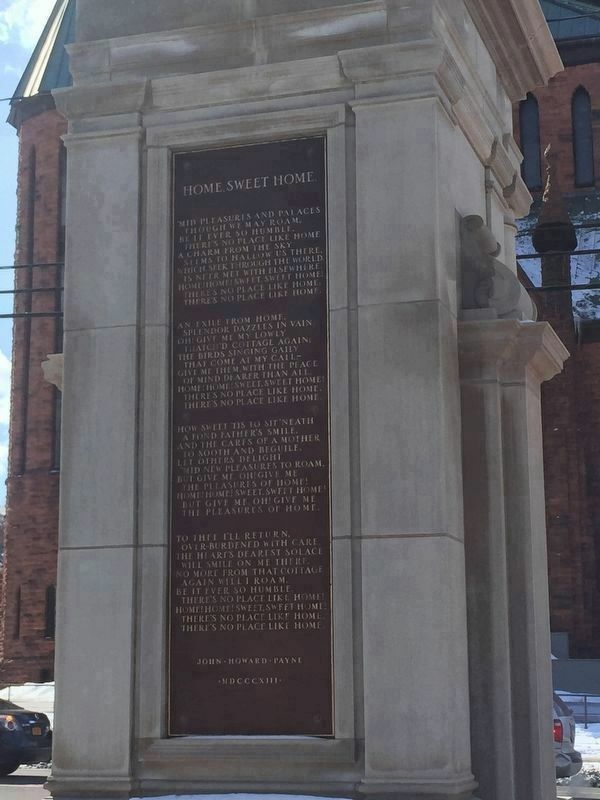 The back of the pillar displays the song “Home Sweet Home”. (approx. 0.3 miles away); Schenectady's Little Italy (approx. 0.4 miles away); Schenectady (approx. 0.4 miles away). Touch for a list and map of all markers in Schenectady. More. Search the internet for John Howard Payne. Credits. This page was last revised on March 7, 2019. This page originally submitted on March 6, 2019, by Steve Stoessel of Niskayuna, New York. This page has been viewed 47 times since then. 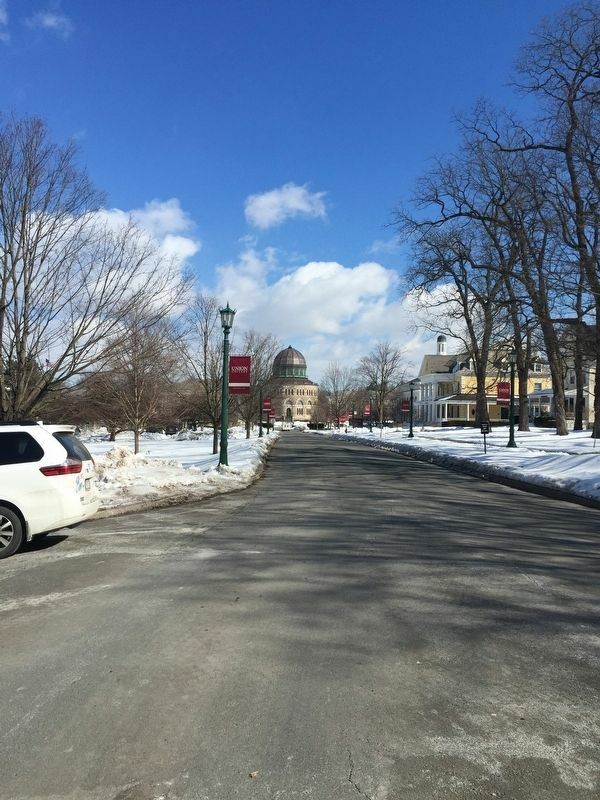 Photos: 1, 2, 3, 4. submitted on March 6, 2019, by Steve Stoessel of Niskayuna, New York. • Bill Pfingsten was the editor who published this page.